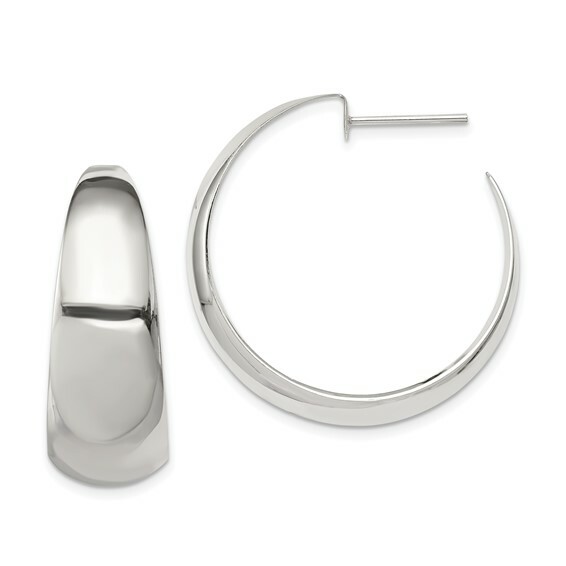 These C shaped fancy hoop earrings are made of polished sterling silver. Measures 1 3/8 inch tall. Weight: 7.3 grams. I bought these as a gift for my mom and they are exactly what she wanted.